Digital technology and media have dramatically reshaped the way we conduct our day-to-day activities. The event industry is certainly not immune to this tectonic shift. But far from threatening corporate events, the industry is thriving by embracing new technologies and incorporating it into the event experience. Event organizers can now give attendees a personalized experience at every stage of the event process, from pre event build up, to onsite through to post event lead gen, allowing businesses to collect useful real time data. Let’s take a look at five big technologies that have, and continue to, help planners create incredible corporate events. Social media is a powerful communication tool for event planners, allowing brands, businesses and consumers to network, discuss and comment on everything and anything to do with your event. As a buzz generating tactic, social media is now an integral part of event marketing and getting the word out about an event, as well as the subsequent post event follow up and lead generation. As with any marketing campaign, don’t forget to collect and analyze data to make sure that your tactics are successful. According to Business Wire, the global event management software market is expected to grow by 8.42% from 2016 to 2020—and for good reason. Event apps help build buzz around the event before it even starts. It keeps your attendees happy and informed and generated excitement since they can explore what your event offers early on. You can also help guests plan and organize their trips, especially if it’s an international event. On your end, you can collect feedback and customer behavior data based on how attendees use your app before, during, and after your event. When building your app strategy, don’t rush into it. Plan a soft launch so you can get immediate feedback on which features to improve and add. Wearable technology will allow you to track how your attendees experience, roam, and interact during your event. This then gives you data (e.g. attendee expectations)—delivered to a central CRM—that you can use at a later date. Near Field Communication (NFC), which attendees can use to check in your event without scanning barcodes or QR codes. They can also use this to link credit cards and pay for merchandise on the day of the event. Radio-Frequency Identification (RFID) bracelets/wristbands, which you can use to register ticket holders efficiently without clogging up gateways. Presentation technology like MYO, which removes the need for clickers to move slides. Smartphone apps that use Bluetooth technology, which can act as a badge for both organizers and attendees. Event signs help keep your attendees updated on where sessions are located, what time each began, and who can access which session. This is why digital signage work well with events, as it provides guests practical and easy-to-understand tools that will support their needs and interests. 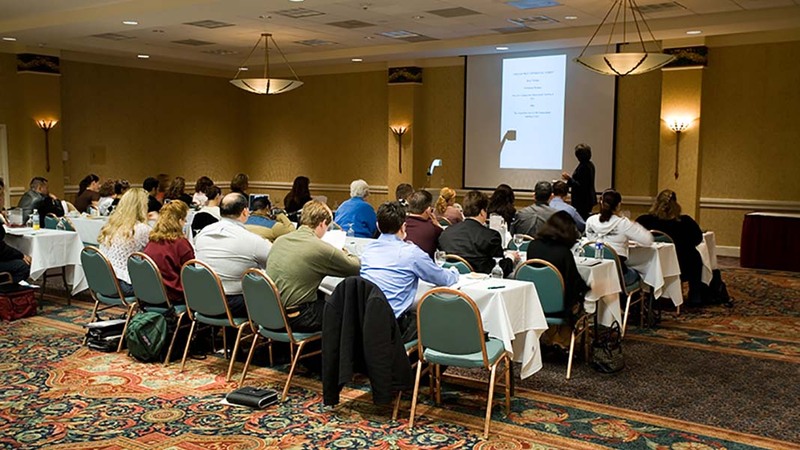 These tools are also interactive, further improving the personalized aspect of your event. Digital signage also helps to reduce paper waste. Virtual reality (VR) and augmented reality (AR) are two leading technologies that provide unique and singular experiences for event guests. VR allows a user to immerse in a computer-generated environment via the use of a VR headset, while AR allows a user to interact with computer-generated elements that are overlaid on the real world. You can leverage these two technologies to drive higher engagement and create a novel experience for your guests. Instead of standing by the wayside, VR and AR tech can turn attendees into active participants. For instance, Budweiser’s experiential campaign during the 2016 SXSW gave participants the chance to tour the company’s brewing plant by wearing Oculus VR headsets. During Microsoft’s Build conference for developers in 2017, on the other hand, the company utilized Hololens to re-create and visualize a Cirque Du Soleil set. The events industry evolves alongside the development of innovative technologies. Trends tend to come and go, however, especially with how fast gadgets get outdated. It is your job then to make sure you keep up and use these technologies to your brand’s advantage to deliver impactful and memorable events. Denise Sharpe is Managing Director and founding partner of Outsourced Events, a London based event management company. 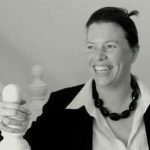 With over twenty years in the event industry, she has helped run events for global corporates such as Dell, Citrix and renowned UK organisations like the Royal College of Occupational Therapists. You can get in touch with Outsourced Events on Twitter, LinkedIn and Facebook or check out more of Denise’s insights on their event blog.